That city. That lake. Those mountains! Whatever it is that you need from a city, canton Lucerne in Central Switzerland does it better. What is there to do in Lucerne? Visit the most iconic landmark of Lucerne: the Chapel Bridge with its Water Tower. Enjoy a leisurely walk through the old town of Lucerne and marvel at the Lion Monument. Anyone visiting Central Switzerland should have a look at the KKL Culture and Convention Centre and the Jesuit Church, the first large baroque church built in Switzerland. The Lucerne City Map is a map for visitors, guests and tourists. This handy guide shows you the most important places, streets and sights. It contains information about guided city tours and recommendations for your stay in Lucerne. The 40-minute trip on the Lucerne City Train gives you an overview of the City of Lucerne and its main attractions. “Leuchtenstadt” – the city of lights. What is behind this mysterious name? No other nickname has been quite this puzzling for historians and etymologists. 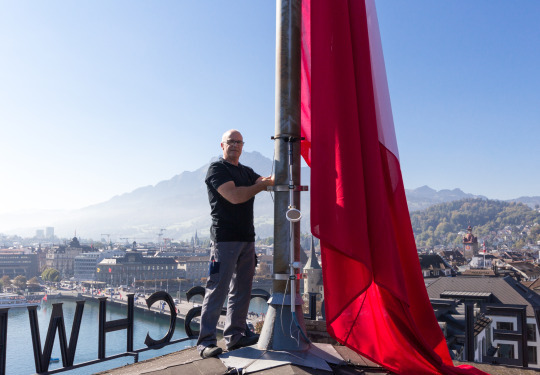 How did Lucerne become the “Leuchtenstadt”, the city of lights? Is the name’s origin religious, botanical, or does it all lead back to a fish? Keep on reading and choose your favourite explanation. According to some, the name of the city – Lucerne – is derived from the Latin “lucerna”, a term describing a ray of light sent down to Earth by an angel. It hit the precise spot where the “Hofkirche” is located today. Others claim that “Leuchtenstadt” has nothing to do with light at all. It goes back to the local flora and comes from the “lucerne” plant, also known as alfalfa. Alternatively, the name might be derived from the Latin term “luciaria”, which means “a school of pike”. This would suggest that Lucerne used to be a fishing village. We have compiled a bucket list of 20 highlights in and around Lucerne. Your visit is not complete without them! Our Lucerne Bucket List contains the top sights and best destinations for a day trip. The Lake Lucerne holiday region is a versatile area full of leisure options. Even when the weather doesn’t play along. Our rainy-day programme contains recommendations for day trips as a couple or family, with or without children. The holiday region of Lucerne – Weggis – Vitznau – Rigi is home to Central Switzerland’s most beautiful destinations. It is worth a visit at any time of the year, summer as well as winter. Are you seeking adventure or relaxation? Are you visiting with your children or by yourself? Either way, the City of Lucerne, Lake Lucerne, nearby Mount Pilatus and the Rigi with its impressive views are the perfect place to spend your free time. The City of Lucerne hosts a wide range of art exhibitions, cultural events, theatre plays and concerts at the Lucerne Museum of Art, KKL Culture and Convention Centre and the Swiss Museum of Transport. Art aficionados will love the Glacier Garden, Richard Wagner Museum, Bourbaki Panorama, Alpineum and the Rosengart collection, which besides masterpieces by renowned artists such as Picasso, Klee, Miró, Monet and Chagall also showcases the work of local artists from Lucerne. Do you still have some time left? We recommend a play at the Lucerne Theatre (Luzerner Theater). 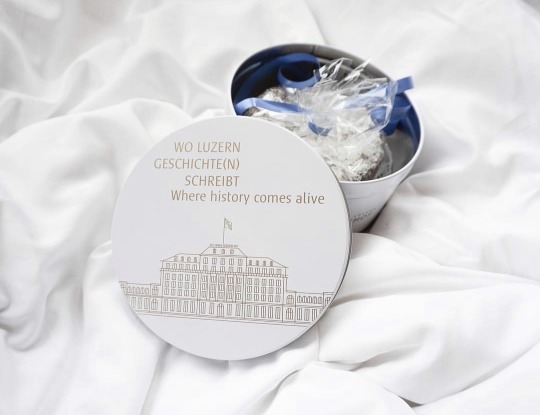 The Lucerne Museum Card gives you entry to Lucerne’s best museums for two whole days. 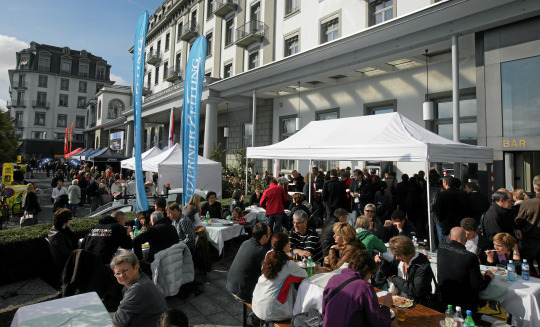 Hotel Schweizerhof Luzern offers two à la carte restaurants, Galerie and Pavillon. They serve local Lucerne delicacies and exotic delights. The VILLA Schweizerhof is our Gault-Millau restaurant overlooking the lake. Or would you rather dine out? Have a look at our Restaurant Guide to find the best restaurants Lucerne has to offer. The holiday region offers everything your heart desires: breakfast, lunch and dinner, on the shore of the lake or right in the old town, comfortable or exclusive, Asian, Italian, typical Swiss and a lot more. Nineteen Lucerne restaurants score more than 250 combined Gault-Millau points. By the way, the region around Lake Lucerne is the origin of one of the most famous Swiss dishes, Älplermagronen. 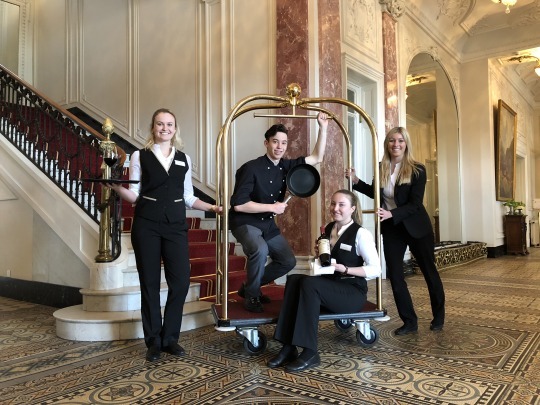 Browse our events calendar for the Lucerne region or the Hotel Schweizerhof events calendar to find your personal highlight. Our city on the shores of Lake Lucerne has even more to offer than its countless events. 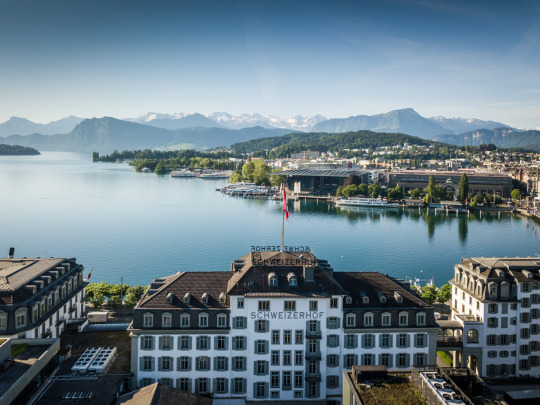 It also has a fantastic nightlife – we recommend the Schweizerhof-Bar, Penthouse Rooftop Bar, Das Weisse Schaf, El Cartel, Boca Grande Bar and Grand Casino Luzern.